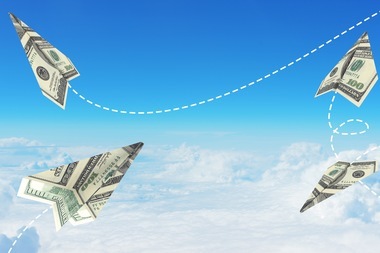 With the melting pot of a new administration, Trump travel paranoia, anticipated holdups in immigration entering the USA, and a strong dollar, international travel inbound to the USA has decreased. Add to that there is an increased likelihood of the laptop ban in the Middle East countries being expanded into other countries and the USA as a destination starts to feel the pinch in terms of dollars. The fares for international travel have also dropped as airlines are trying to lure Americans outside the country with great deals in land and air. Domestic airfares, on the other hand, have increased as more Americans are staying at home. It is going to be an interesting period for travel this summer. The discounted European airlines are disrupting the regular stakeholders and consumers are benefiting across the international skies. There are phenomenal deals on Turkish Airlines at the moment if you are willing to go that route. Turkish is one of the largest airlines in the world with feeder flights across the European landscape. Good news for Europeans is that in spite of the recent terrorist incidents, London reports strong traffic and Athens, perceived safe, is up by a whopping 41%. So the Americans are on the move but the Euros are staying put. In the Caribbean and Central America, Zika is still a massive negative for young families. Bottom line is that there are deals to be had, places to go, and people to see. It’s time to leave the house and go through the garden gate. This entry was posted in Blog, Travel and tagged Peter Jones, Pietro Place, Travel, Travel Blog, Traveller on June 23, 2017 by Peter Jones. 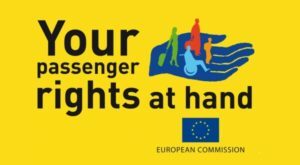 Does anybody really know that there is a flight compensation regulation called 261/2004 which establishes, under EU law, common rules on compensation and assistance to passengers in the event of denied boarding, flight cancellations, or long delays of flights? Well, there is money in them there hills folks! Compensation can be between 250 Euros and600 Euros depending on the flight distance and length of the delay. 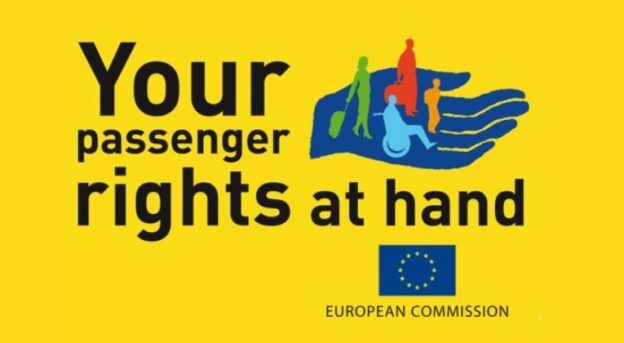 Short delays of two hours get you 250 Euros but a four-hour delay through an overnight will clear a cool 600 Euros, not to mention compensation you can independently retrieve for hotels. This only applies to flights that originate in the EU but it also means that any American carrier is fair game. However, it has to be a non-weather related delay. For an overnight delay, a mate of mine just pocketed 1,800 Euros plus the cost for the added hotel night. This rule is out there but most people do not know about it or take advantage of it. So, next time you are delayed in Europe, you might want to pray that the delay goes over two hours! The mechanism for retrieval of the money is pretty easy and it’s protected by the solid ruling of the EU. Who said delays were really lousy? This entry was posted in Blog, Travel and tagged Peter Jones, Pietro Place, Travel, Travel Blog, Traveller on June 21, 2017 by Peter Jones. 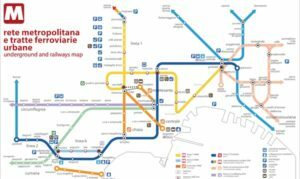 I’m not a big fan of the Rome Metro but I was persuaded by my Italian friend that the Naples one is just about the best in Italy. So I decided to take a chance. 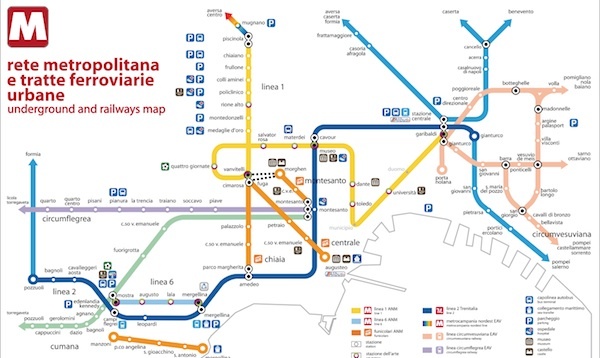 To start, there is the usual Italian problem of any Metro entrance – where do you buy a ticket?! It’s a struggle. The ticket machine does not work, the guy that has the booth by the entrance does not sell them, and the woman at the top where the newsstand is wasn’t there. After five minutes of inquiry, we discovered a shop where you could buy these train tickets. I guess Neapolitans have season tickets or something but it sure was a bit of a struggle to figure out how to get on the train. Once down in the dungeon of the Metro though, it all looked pretty cool. The trains were clean, it was highly logical, and unlike the chaos of the streets above, the metro had a quiet sense to it. We were able to travel clear across town with ease. Sure, the Metro map was a little graffitied up and maybe some of the posters were a bit too raunchy for some tourists, but the trains were perfect. I quite liked the idea that Helmut Newton photographs were being advertised here and exhibited at a palazzo nearby. This entry was posted in Blog, Travel and tagged Naples, Peter Jones, Travel, Travel Blog, Traveller on June 17, 2017 by Peter Jones. 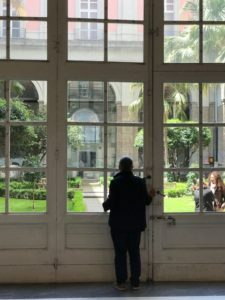 Not far away from the nativity street is the entrance to the National Archaeological Museum right on the edge of the Centro Storico. 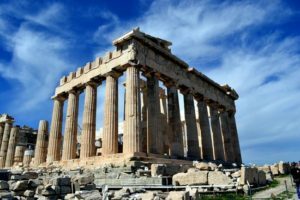 Here there are lots of statues and art that easily rival or outperform anything to be found in the British Museum, the Louvre, or the Vatican. These are the great marble collections of ancient Rome, Pompeii, and Herculaneum. 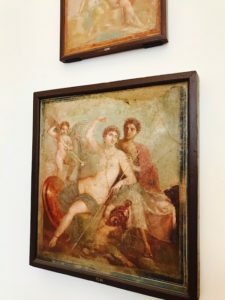 However, the main draw for me was that this is the only place in the world where you can actually see the artwork paintings of Pompeii. They are still as beautiful as if they had been painted on a wall only a few years ago. This is where you get to see the people, the backdrop, the landscape, and how people dressed in Pompeii. 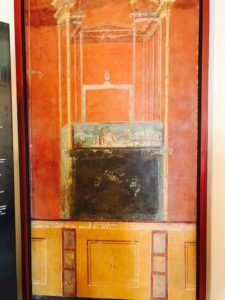 The most iconic fresco in the room is the “Woman with Wax Tablets and Stylus” also called “Sappho.” I wanted to stare at her forever. If you have never been to this museum, jump on a train and enlighten yourself. It’s a mindblower. 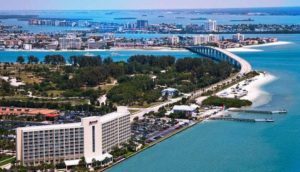 This entry was posted in Blog, Travel and tagged Naples, Peter Jones, Travel, Travel Blog, Traveller on June 14, 2017 by Peter Jones. This is where every single Neapolitan family comes to at Christmas time. 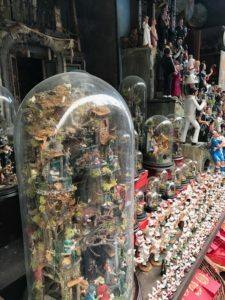 In fact, my Italian friend told me that pretty much everyone in Italy has some kind of glass enclosed nativity scene that has been handed down or is part of the family treasure. These things are wild. Some of them have intricate waterfalls and the possibilities to extend across the room like train sets. The price ranges from the basic model for 50 Euros to over 10,000 Euros for elaborate ones. But for Italy, it is not just Jesus, Mary, and Joseph in these scenes, there is a whole hobbit village created around the manger with trees, vegetation, waterfalls, windmills, you name it. They can be made of terracotta, wood, and cardboard. Even my communist friends have a presepe! But to note, Jesus is always the last to enter the scene and is only placed in the manger on Christmas Eve. 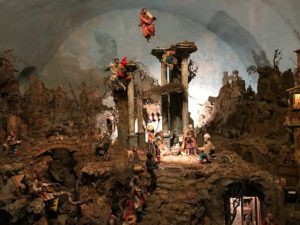 Some of these nativity scenes are simply breathtaking works of art, and some of them have odd characters like Maradonna, Naples’ most famous soccer player, hanging out close by. 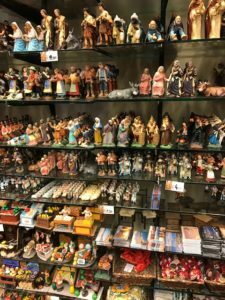 Neapolitans love football more than anything so why shouldn’t they incorporate their most famous (albeit an Argentinian) into their presepe tradition?! Onwards and upwards to the National Archaeological Museum I went. 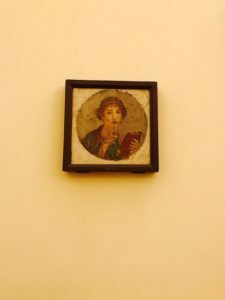 This entry was posted in Blog, Travel and tagged Naples, Peter Jones, Travel, Travel Blog on June 11, 2017 by Peter Jones. 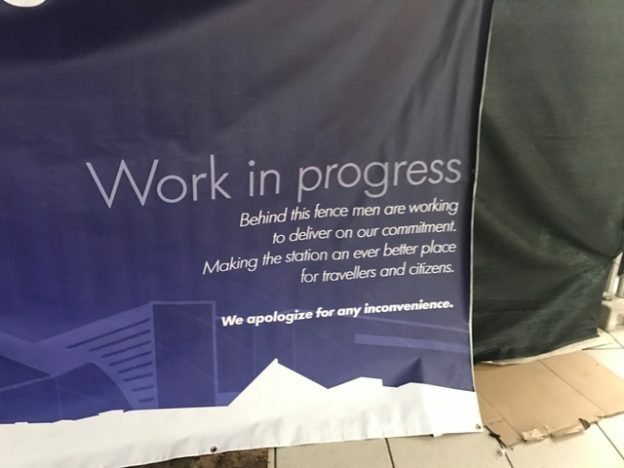 I had this feeling that the sign indicated that behind this fenced area (it wasn’t a fence, but a plastic sheet) there were men at work, diligently improving the station for human kind. Not just for me but for my children and my children’s children. Building a better future so that others I could not even imagine would be able to sail through the station in a way that seemed entirely impossible now. Of course, I had to peek behind the plastic. Couldn’t resist. But sure enough, the utter stillness of the other side provided every evidence that indeed there were no men at work, nor women, nor anybody. Maybe tomorrow or the next day. The station would wait, not just f or me but for my children and my children’s children. 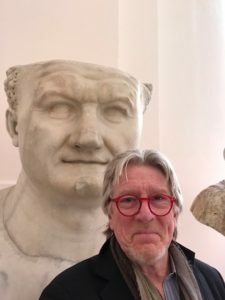 Roma, non basta una vita….Rome, a lifetime is not enough. This entry was posted in Blog, Travel and tagged Peter Jones, Travel Blog, Traveller on June 5, 2017 by Peter Jones. 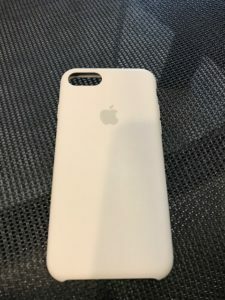 I had recently switched my iPhone case from the beloved Tech21 to Apple. Boy, I loved those Tech21 cases. You could throw your iPhone in the air and watch it slam down on a piece of concrete and nothing would shatter. 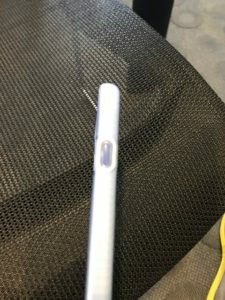 In fact, when I first went to the Apple Store to invest in one, the guy gave me the sales pitch on the Tech21 and told me it was shatter-proof. 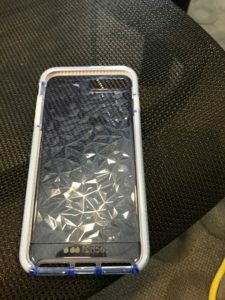 So, I took the case, put it on my iPhone, threw it up in the air, and watched his face in horror as the phone landed on the Apple ground. Guess what? He was right. But now Tech21 has broken their promise in providing the case that is perfect in every way. The new case, for some ungodly reason, has the silent button opening designed for a five-year-old or people with micro fingers. Seriously, guys, I use that switch all the time! It’s a shame. I’m not saying that you should take the designer who designed the new case and march him/her out the door, but maybe you should check the fingers out on this person. They sure cannot be ordinary fingers. Or else this person just prefers the “Do Not Disturb” crescent moon symbol. Living dangerously if you ask me when you are at the theater. So, Tech21, I abandoned you. I went looking for an Apple case and invested in their silicon line. I like it because when you leave your phone on the arm of an airplane seat during landing, it does not slip off. It stays put easily. I also like it because I can access the silent switch with ease. But when I started to use it, I noticed that the silicon began to wear on the corners. What a drag. I have an Apple Store near me and I walked in expecting some kind of interrogation on receipt verification, the usual sales obstruction stuff, etc. But instead, the guy told me to go pick out a new case and we would just do a straight switch. Or if I wanted the money back, he would just transfer it back to my card. The whole transaction time was five minutes. Brilliant service. Hey Tech21, change your design. I will still leave the door open for you. Hey Apple, you’re the best. This entry was posted in Blog, Travel and tagged apple, Peter Jones, phones, tech21, technology on June 2, 2017 by Peter Jones. What’s Up with Airline Regulations?? So after the recent debacles with United and American, the government is getting heavy. Finally, we are seeing the government recognizing that consolidation is creating an arrogance in service and in amenities. After deregulation in 1978, industry charges like baggage fees and bumping passengers have been pretty much left to the airlines. And 80% of USA domestic business is now in the frightening hands of four airlines. Power to the few and less power to the consumer. Airlines claim that overbooking helps keep fares low and provides less risk so more choice for consumers. Understood, but you have to be nice too! Honestly, whoever comes off a plane and says that they had a fab and fun experience? Now United are going to have to put their money where their mouth is. Dragging a guy down the aisle sounds like a bad wedding arrangement. It nearly cost them their business. CEO Munoz stated that he is committed to making things better and now overbooking as a policy is going to be phased out. Southwest, the darling of consumers, actually has the highest overbooking of any airline. They were just smarter and nicer about it. 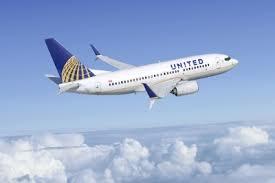 We all get that overbooking creates more flexibility for airlines and lots take advantage of the compensation. It doesn’t take much but being nice and being smart makes the difference. Having a positive attitude and being customer friendly is key. That’s all we ask for. We are not cattle. This entry was posted in Blog, Travel and tagged airlines, airports, American Airlines, Flights, flying, Peter Jones, Pietro Place, Travel, Travel Blog, Traveller on May 23, 2017 by Peter Jones. Having Your Uber Account Hacked IS As Bad As You Think. I have never not had access to my Uber account. It goes with me everywhere and is sort of like a travel companion. However, it doesn’t get to go to Italy with me and I hate that. The cab company lobby there is just too powerful. So apart from not being able to see the sights of Ancient Rome and renaissance Florence, Uber does pretty well with me. 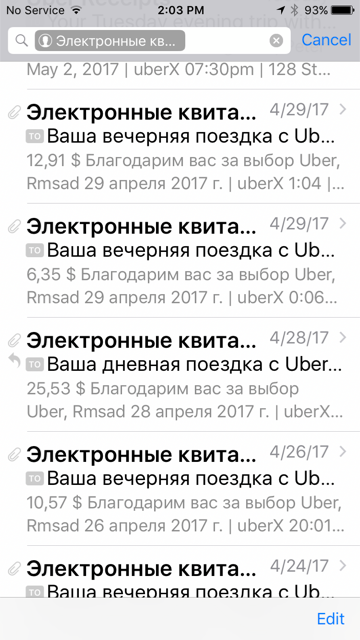 Then the horror of all unthinkable horrors happened – my Uber account was hacked! I didn’t spot it at first. I kept getting messages from an unknown source in Russian but I kept on deleting them. I figured that it was a Russian wedding inquiry. Then one day, my Uber driver asked me if my name was “Dinrat.” No, that’s not me. And then I realized I had been hacked! Ok, no issues. I check my credit cards and reboot Uber but for three days I couldn’t log back on. I used the help button that Uber indicated I should use, restarted it, resubmitted it, but for three miserable days, I was Uber-less. Nobody to talk to help you, just dependent on their technology to resurface. It was not easy, believe me. Friends would have to pay for my transportation and I started to do the unthinkable…take taxis! It was a pretty grim experience. It was tough and I felt lost. I didn’t know who to turn to. 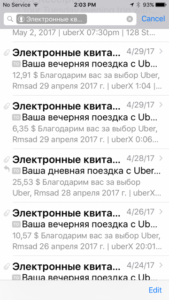 That’s what I realized that I was an Uber addict. Take Lyft, friends told me, but I couldn’t give up on Uber. So after 20 back and forth messages, we were able to make amends and I got back into a relationship again. Life without Uber. Honestly, I feel really bad for the Italians! This entry was posted in Blog, Travel and tagged Peter Jones, Pietro Place, Travel, Travel Blog, Traveller on May 13, 2017 by Peter Jones. What do all of these cities have in common apart from being really cool places to visit? Yes, you’ve got it – they are all connected by high-speed train. Here’s the problem. The Eurostar, which connects London and Paris, takes precisely two hours and twenty minutes to cover the 306 miles journey. From Naples to Rome, it takes a quick 67 minutes to travel 116 miles. But the Acela train from Boston to New York on good old Amtrak takes three hours and 40 minutes to travel 215 miles. That equates to nearly traveling at only 60 mph! The Europeans are going to continue to surpass us in train travel as the distance between cities in Italy is about to get considerably smaller in time terms as they get their super fast fleet of new trains. These trains will travel around 400 km/h (or around 250 mph) which means that it will take about two hours to go from Rome to Milan. So the question begs, why does Amtrak have horrible, unreliable, and slow service? We are held to ransom by the exclusivity of the airlines. This is a pretty sad reflection, but the Europeans understood the power of train travel, along with the Chinese and the Japanese, and have invested billions of dollars in constructing an artery of high-speed travel that is more energy efficient than jet fuel airplanes, more passenger-centric (city center to city center) than airplane travel, and frankly, more comfortable and fun than airplane travel. Let’s face it, when was the last time someone said, “Well that was fun!” while flying from one city to another in coach while experiencing massive delays and terrible service. 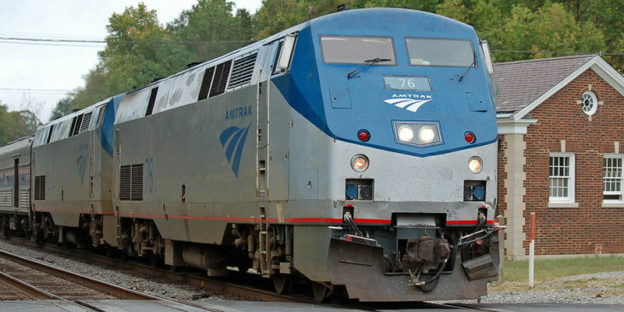 So why oh why doesn’t the government invest in Amtrak? Why is the fleet so appalling? What is a more attractive option there than a high-speed train from DC to New York or Boston or Los Angeles to San Francisco? Imagine what fun it would be to take a high-speed train from New York to Miami. 1,280 miles away, using a 200 mph train it would take just over six hours. I only wonder about all of this because it makes no sense. A guy in front of me as we walked out of the terminal in London off the Eurostar said to his wife, wow, imagine this journey on Amtrak. Indeed! A horror show. European travelers can commute between Rome and Naples or Rome and Florence or Paris and Marseilles or Paris and Cologne so effortlessly. If you get the chance and you are traveling out there, get on a fast train and try to dream or imagine that one day Amtrak can be like this. The Dream on! The President has just cut funding. Oh well. See you out there somewhere. They even wrote a song about it! This entry was posted in Blog, Travel and tagged Peter Jones, Travel, Traveller on May 10, 2017 by Peter Jones. 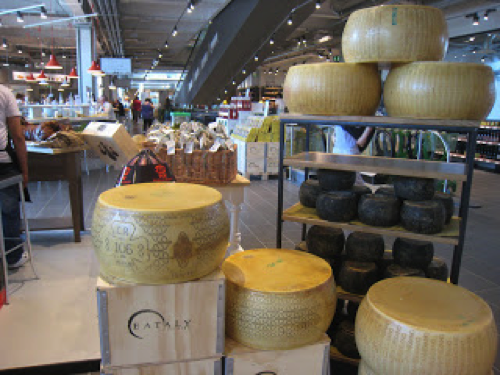 We drove out of Rome past the Protestant Cemetery and stopped to take a look at Eataly. This is the biggest location worldwide of the chain and it is in a very cool building. The building itself was constructed with public funds and opened in 1989 as the air terminal to handle the traffic from the 1990 World Cup. It was designed by the Spanish architect, Julio Lafuente, and is a very retro building that easily could have been designed in 1960’s. 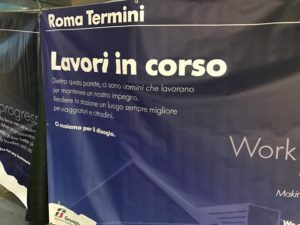 From the beginning, nobody could find taxis (in those days it was in the middle of nowhere) and it was not easy to cart luggage from the nearby Ostiense train station across to the air terminal. Ultimately it was abandoned and remained empty for years until it was purchased for not a lot by the financiers of Eataly. What luck that Eataly picked up on this slightly dilapidated post-modern structure! 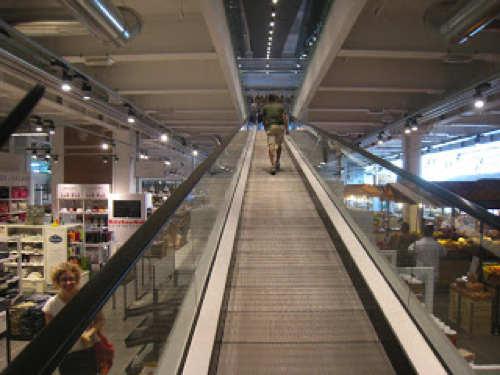 I had been to the Eataly in Turin before but this one is huge and feels more like making a trip to an American mall than being in Rome. 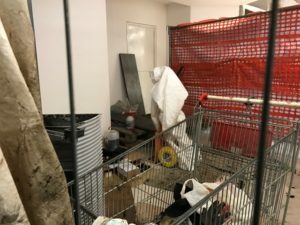 For me, I would rather do my shopping in the Campo di Fiore but I shouldn’t knock it – Eataly is coming to Boston and opening in the next few weeks. Just imagine, wheels of parmesan, hocks of prosciutto, pasta from every region, restaurants and shops galore, and all within walking distance of my house! I’ll take that any day. This entry was posted in Blog and tagged Europe, Italy, Peter Jones, Pietro Place on November 15, 2016 by Peter Jones. The drive down the Italian coast from Rome is a mixed bag. After a scattering of fairly dull seaside places, we eventually got to Anzio where the allies landed in 1944. It is a fairly unmemorable town but there is the haunting Sicily-Rome American Cemetery and Memorial there which we visited. It is also the jumping off point if you want to go to the glitz and glamor of Rome’s chic island, Ponza. 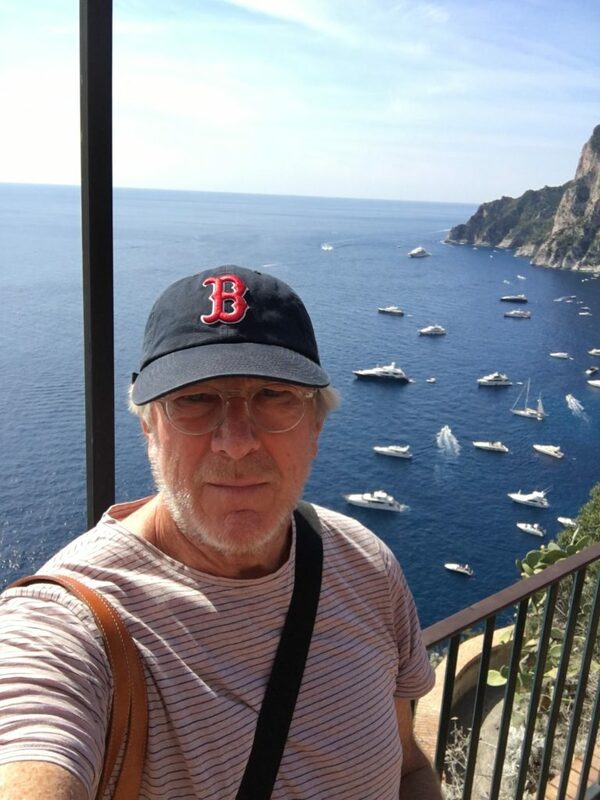 This is the Martha’s Vineyard of the Roman World. Ponza is one of six islands in an archipelago that sits a short distance from the Italian mainland. We carried on our journey and the landscape brightened up quite a bit. We eventually ran into a lovely town called Sperlonga only about one hour outside of Rome. Sperlonga is probably the nicest, closest resort to Rome. There are lots of stabilimenti, beachside restaurants and cafes, and the climb up to the top of the town is lovely. It may not be a Greek village like Symi but after all, you are only an hour away from Rome. We were halfway to Naples and after a delightful spaghetti alle vongole everything went downhill fast. Trash started to pop up everywhere. The trash collection services in most of these southern coastal towns gave up long ago. We were in Mafia country now. There are 4,000 deaths every year around this part of the world. It’s like the Wild West – row upon row of crumbling tenement buildings and Vesuvius sticking out with its ominous cone top rumbling. The traffic was starting to build up as we moved into Naples proper and we had some time to get off and head into the center. Many people get nervous about Naples but I actually love it. It has great restaurants, beautiful architecture, and with its location facing the island of Ischia and only 45 minutes’ drive from Sorrento, it becomes a tempting place to stay. However, you have to be careful and mindful of all of the usual city stuff in the evening. We were moving on pretty quickly and picked up the small road that takes you literally through the Bay of Naples and into the town of Sorrento. We were nearly there. 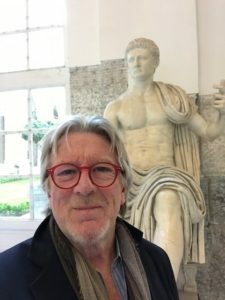 This entry was posted in Blog and tagged Europe, Italy, Peter Jones, Pietro Place, Travel on November 14, 2016 by Peter Jones. So if you had to choose a place in all of Italy to hang out for a few days in super-luxury, relatively car-free, and using a boat to access restaurants and islands nearby, where would you choose? I would choose Positano in late September. Positano is one of those rare places that you find that has just about everything with some gorgeous hotels (Le Sirenuse and Hotel Covo dei Saraceni) and some very cool restaurants that you either have to walk along the cliffs to or rent a private boat to access. 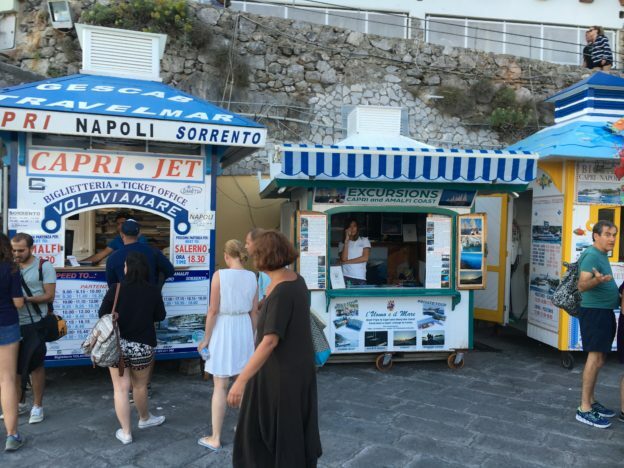 Positano has a constant flow of ferry traffic as it serves all the way through the end of September as a main jumping off point for tourists from Sorrento and a jumping on point for tourists to get to the island of Capri. The beach is typical of this area – stony with plenty of stabilimenti. The water is clear although it is good to stay inside of the swimming lanes because of the boat traffic. 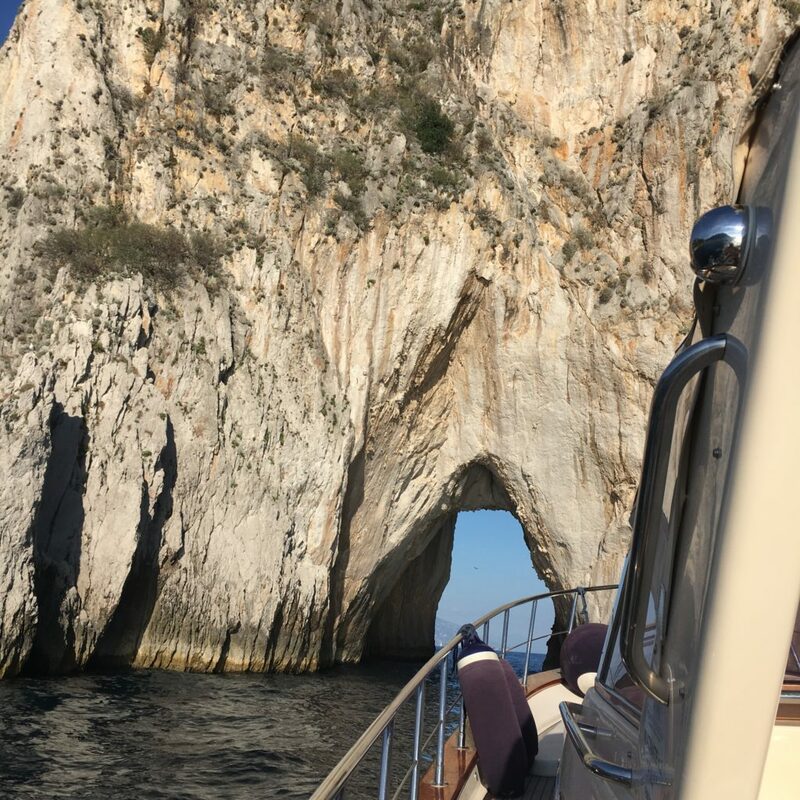 I had not been to Capri for more than 30 years so we rented a boat and sailed clear around the island. We landed at the Marina Grande and went to the Marina Piccola for a swim. 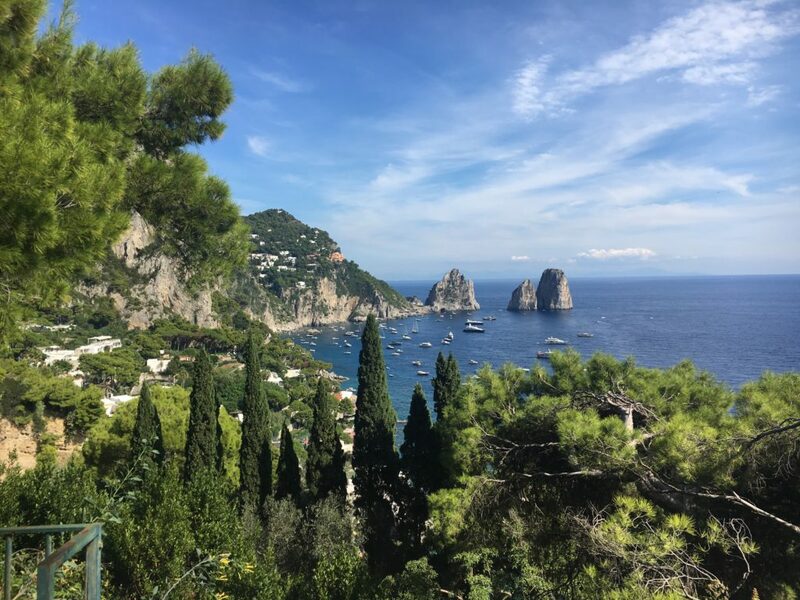 Capri is good for a day; no more, and maybe a bit less. It was good to go but it was crowded and the wait on the funicular was not worth it. The cab drivers all seemed to be satiated for business. To make it worse, the water was choppy so the famous Blue Grotto was not available. One thing’s for sure, Capri is beautiful but no Greek island. Positano is spectacular and has almost the enchantment of a Greek island. The colorful houses as they sit along the horseshoe cliff face are like no other in the world. The smell of lemons in the lemon groves pervade this place. The fact that you can buy fresh mozzarella di bufala makes this one of the great wonderlands of Italian cuisine. It’s expensive, it’s trendy, it’s glitzy, and it’s a bit of a hassle to get to, but honestly, for three or four days at least once in your life, you should give yourself up to Positano. Tom Brady did while he was sitting out his four games for Deflategate. My only regret was that I didn’t bump into Gisele while taking my morning cappuccino. We were there at the same time! 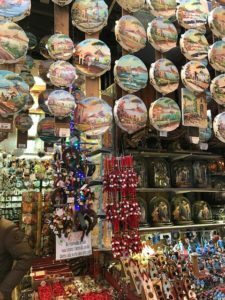 This entry was posted in Blog and tagged Capri, Italy, Peter Jones, Pietro Place, Positano, Travel Blog, Traveller on October 26, 2016 by Peter Jones. With all of this populist talk in the air and Trump grabbing most of the headlines through his really bad behavior, some people may have forgotten that the Prime Minister of England, Theresa May, is firmly committed to pushing the Brexit button next March. The good news for travelers is that the British pound continues to sink, products that we buy in the UK are as cheap as chips, and sadly for my mum, the average cost of a glass of sangria in Spain just went up by around 20%. But that is not the end of it and lines have to be drawn. Marmite has been brought into this whole ugly and distasteful mess about Brexit and the pound. Apparently the makers of Marmite, the mega monopoly, Unilever, have decided to pull back some of the lost profitability of the falling pound and increase the price of our beloved product. This is causing mainline supermarkets to refuse to stock the beloved brand and deny the right of all English people a taste on toast of their staple diet. For the American tourists, there is good news of course in all of this. Americans traditionally loathe the taste of Marmite, a black, sticky, glue-like yeast extract that Brits have been brought up on since they discovered what to do with the waste from brewing beer. In Australia they call it Vegemite and it tastes the same. For most ex-pats, Marmite is headlined with digestive biscuits, custard creams, and oxo cubes as things I dream about when I’m asleep. It’s the stuff that we were raised on. Now the beloved brand itself is merely a pawn in the gain of the Brexit politicians who promised a different world but in actual fact delivered a depressed currency, higher prices, more unemployment, and good news, an opportunity for Americans and Europeans to take advantage of a strong dollar and euro. 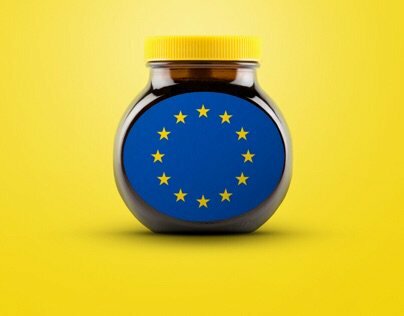 I was opposed to Brexit but I never thought that they’d touch my Marmite. Those bastards! This entry was posted in Blog and tagged Brexit, England, European Union, Marmite, Peter Jones, Pietro Place, United Kingdom on October 24, 2016 by Peter Jones. What already took place in Europe with Ryan Air and easyJet, and moved subtly across to the domestic arena in the USA with Southwest and Spirit, is now happily making an impact on the transatlantic flight. Yes, the discount airlines are moving in big time. While they are not impacting the big boys yet, this could be the start of a new Freddie Laker revolution. And what to do to respond to a market trend of low-cost long-haul flights? How do you retool your factory and make your product more efficient, less expensive, and less dependent upon goliath overhead drain than the big three consolidators? What we all know is that you cannot take an airline called United and shorten it to Ted and pretend that it is just the same as having a cheaper, more efficient airline carrier. Been there, done there. That…did not work. The emergence of the low-cost flights–long-haul flights–has come at a time when oil is cheap. Airlines are starting to make money by pairing down the size of their fleets, using more fuel efficient planes, and charging higher prices to get us from A to B. So who is trying to break up this party? A recently purchased Norwegian Air ticket from Copenhagen to Boston costs $180 one-way. Other carriers like Canada’s WestJet Airlines and Iceland’s WOW Air are offering prices that are half of what the competitors charge. Furthermore, they are providing a business class option at a tenth of the price of the rip-off business class ticket that you are charged with the top transatlantic airlines. Norwegian operates on 26 routes and on those routes, its share is a staggering 13%. JetBlue is starting to feel that they can make a move in this market too and Southwest is also making noises. The bottom line is that low-cost long-haul carriers will become a growing threat to transatlantic profitability. Because the USA and EU have an open skies aviation treaty, carriers can charge what they like which used to spell bad news for the consumer. However, with the low-cost guys, it is completely consumer-driven. This is a big chunk of market to grab. Put a fuel efficient Dreamliner on a route between New York and London and charge $350 roundtrip with a $650 business class option and you are likely going to get takers and more importantly converts. We have all seen how absolutely useless a bunch of points or a loyalty club can be when you really need them. If the low-cost carriers can provide comfort, good legroom, a fun experience on the plane, and all at relatively inexpensive prices, I think that this is just a growing market. What kind of market is this and who controls what? Delta and United control about 13% of transatlantic traffic, American and British is around 10%, Lufthansa is 7%, but there is a staggering 40% that is up for grabs. The discounters have smelled the prey. The CEO of Norwegian intends to add more flights from more USA cities to more European cities. He claims that ticket prices will be less than $100 one-way. I’m putting my money right now on Norwegian – they fly nonstop, the food is as good as any of the other carriers, they fly the Dreamliner, and they provide super value in two classes of services. This is all good news for consumers. This should be fun to watch. This entry was posted in Blog and tagged Flights, flying, Peter Jones, Pietro Place, Travel, Traveller on October 21, 2016 by Peter Jones.